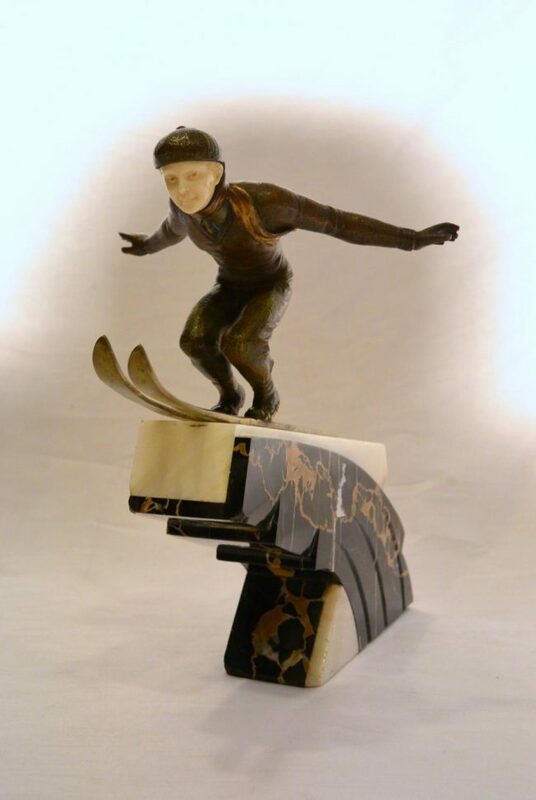 A very rare bronze and ivory figure on a marble base jumping on skis. The firm is probably Jacquemin et Bleriot in Paris. The figure has been shown at the International Exhibition of Arts and Technics in Paris in 1937.